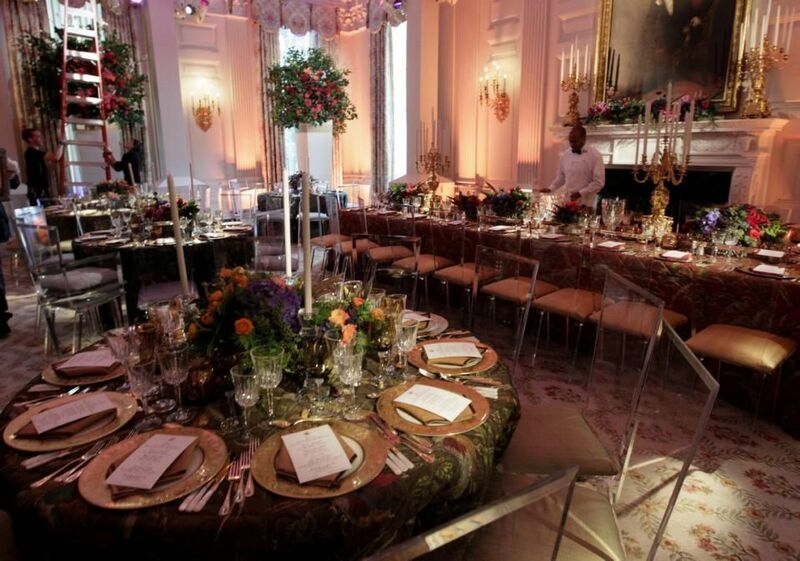 Have you ever wondered what it would be like to eat at a fancy White House dinner? You’ll probably never get that chance, so we decided to fill you in on tonight’s China State Dinner menu. Obama will host his 2nd China State dinner with a menu that’ll have Chinese President Xi Jinping and his wife, Peng Liyuan, drooling on those fancy tablecloths that were most likely made in China. Chinese-American chef Anita Lo will be taking the reigns along with her staff to prepare the menu, which the White House said is inspired by autumn and highlights “American cuisine with nuances of Chinese flavors.” Like we didn’t see that one coming. The dinner menu consists of wild mushroom soup paired with Shaoxing rice wine, lobster, and grilled cannon of Colorado lamb served with cubes of tempura-fried panna cotta. What’s an American (Chinese) Dinner Without Dessert? Dessert will be poppy-seed bread and butter pudding with Meyer lemon curd and lychee sorbet. Each table will also share a communal dessert plate that pays tribute to gardens and consists of a handmade chocolate pavilion and bridge, sugar roses and miniature pastries. Along with that, in recent years, the chefs have been inspired by Mrs. Obama’s White House vegetable garden. Squash and pumpkin from the garden will be served integrated into certain dishes. At this point all we can say to Anita is best of luck and #ChefLife!